Wrap up February with a Rejuvenating Antioxidant Booster! Generally, body wraps work in two stages, absorption and extraction. Wrapping the body wrap is the absorption stage wherein the pores of the skin get opened while the fluids are extracted or absorbed by the wrap. The extraction of the fluids leaves empty pockets in between the cells that when massaged together, leaves the body much thinner and leaner looking than before. 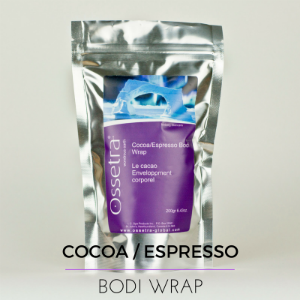 Using a dark chocolate/espresso body wrap, you can calm and soothe the skin, to give the skin a hydrated and smooth complexion. This is because it is said that the caffeine and polyphenols are absorbed through the skin, which leads to the shedding of those extra pounds. The shedding of extra pounds is due to the endorphins, the special biochemical compounds that the body produces under some circumstances. Cocoa is very moisturizing and softens the skin. Leaves a luminous glow on the skin. Cocoa contains glycerides which deliver moisturizing lipids and fats which smooth's out wrinkles. Detoxifies the skin pores and improves blood circulation. Firms and tones the skin. Smell is a most powerful evocative sense, stimulating memory and emotions. 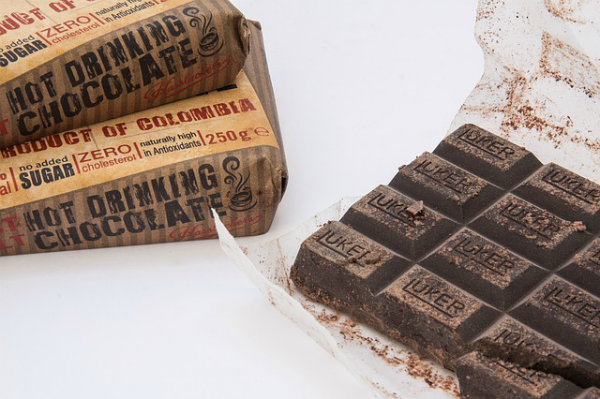 The scent of dark chocolates stimulates your "happy feeling" endorphins. These feelings of well-being and relaxation tend to increase fat reduction. Caffeine speeds up metabolism which of course speeds up elimination, of toxins from the body. Cocoa has been proven to be a powerful anti-inflammatory agent. Cocoa contains over 300 different compounds some of which can have a significant impact on one’s health and beauty. Theobromine, a substance similar to caffeine, stimulates the circulatory system and produces a slimming effect on the body. Magnesium, potassium, and calcium have a calming effect, thus reducing stress. Polyphenols, antioxidants that impede free radicals which are responsible for aging. The cocoa and caffeine will elevate the mood and improve how you feel. Newer PostMineral Makeup: Spring cleaning? How's your makeup cleanup? Older PostChocolate...the Ultimate in Indulgence!